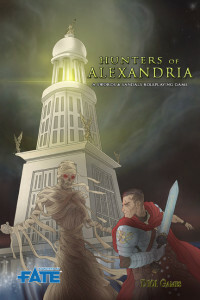 Hunters of Alexandria is our latest release. Its a Historical Fantasy setting by Paul Mitchener (Crucible of Dragons, Age of Arthur). Its a small A5 book only 110 pages but it packs a punch. Its designed as a pick up and play game of monster hunting in Ancient Alexandria in 1AD during the Roman occupation, were the city is the 2nd biggest metropolis in the Empire and is a melting pot of Egyptian, Greek, Roman and Jewish peoples. The Roman invasion thirty years previously has weakened the city’s magical protection and now monster’s from the collective myths of the cultures living in the city are slipping in unchecked. Its up to the Ventatores (or Hunters in Latin) a secret group of auxiliaries to the Roman Town Guard, which the player characters are members of, to stop them. 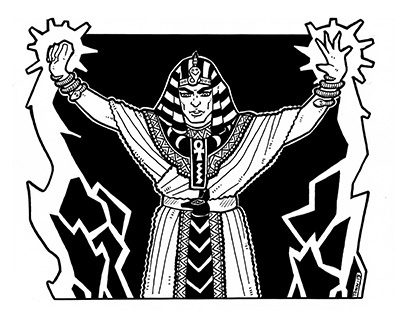 In this 110 page A5 book we present complete rules for character generation and play, and details of this mythic and monstrous version of ancient Alexandria, including different factions at play in the city, the geography of Alexandria, supernatural beasts, scenario seeds and a complete introductory scenario. The book is designed to be lightweight and easy to absorb. 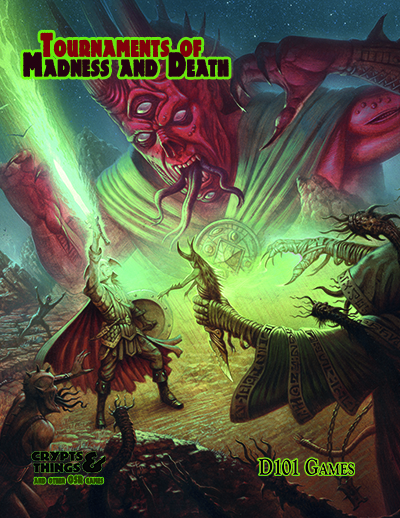 It is suitable for immediate sandbox play (with a full cast of supporting non-player characters detailed as well as the city itself) and also includes a full introductory scenario (Saviour Gods). It comes with four example characters so you can start running the game after reading. It uses a lightweight but powerful version of Fate written by Paul called Fortune. If your gaming tastes are much more Old School the system is less than half the book, so you still get a detailed setting, cast of non player characters, and a scenario you can easily run with your rule set of choice. Note: Hunters of Alexandria is in the Bundle of Holding Fate +3 is ending in under 12 hours. 17 titles heavily discounted in pdf format.